As I mentioned on this site before, I’ve been trying something new this month. Yay, new things! I’m giving NaNoWriMo a shot. For those who aren’t familiar yet, it’s a challenge to write 50 000 words of a novel in one month. I’ve just passed the halfway point, both in November and in word count, so I like to think I’m giving it a solid effort. To clarify, no one is expecting the participant to have a completely edited, polished and ready to publish novel in a month. And you don’t have to write the entirety of it all in November either; if you had some things written before it all counts as long as it’s the same project. It’s all on the honor system and it’s all for the personal challenge. NaNoWriMo just wants you to get the words out, just to get them finally written down in a first or second draft, and then in January and February they host online help for editing and publishing. It’s a great system. So far I’ve found it interesting, challenging, stressful and so rewarding all at the same time. This is the most I’ve written on a single project, and I’m a little worried at how the next 24 000-ish words are going to go. Will I think of enough to write about? Will all the placeholders I’ve put in the work so far have to be fleshed out? So many ‘what if’s, but I’m determined. And one of the best things about it is that they have a Young Writer’s Program. Busy? Overloaded with school and extracurriculars? Wanna give this a try but feel like 50 000 words is WAY too much? The Young Writer’s Program let’s you set your own word count and helps you through it. If you’re looking for some inspiration, we’ve got some YA novels that started as NaNoWriMo projects. From Cinder: “Humans and androids crowd the raucous streets of New Beijing. A deadly plague ravages the population. From space, a ruthless lunar people watch, waiting to make their move. No one knows that Earth’s fate hinges on one girl. . . . The Lunar Chronicles feature a mix of fairy tale characters and a lot of sci fi. Creating the first book during NaNoWriMo worked well enough for Meyer that she used the challenge to create some of the follow-ups. That’s commitment. For those looking for a little romance in an exotic locale, give this one a try. Deadly unicorns. What more could you ask for? “Incapable. Awkward. Artless. That’s what the other girls whisper behind her back. But sixteen-year-old Adelice Lewys has a secret: She wants to fail. Gifted with the ability to weave time with matter, she’s exactly what the Guild is looking for, and in the world of Arras, being chosen to work the looms is everything a girl could want. It means privilege, eternal beauty, and being something other than a secretary. It also means the power to manipulate the very fabric of reality. But if controlling what people eat, wherethey live, and how many children they have is the price of having it all, Adelice isn’t interested. “Cooper Blake has everything going for him–until he wakes from a car accident with his football career in ruins and a mysterious, attractive girl by his side. Cooper doesn’t know how Samantha got there or why he can see her; all he knows is that she’s a ghost, and the shadows that surround her seem intent on destroying her. “In Mary’s world there are simple truths. And you must always mind the fence that surrounds the villa≥ the fence that protects the village from the Forest of Hands and Teeth. “When sixteen-year-old Alice is diagnosed with leukemia, she vows to spend her final months righting wrongs. So she convinces her best friend, Harvey, to help her with a crazy bucket list that’s as much about revenge as it is about hope. Now THAT is a twist if ever I heard one. What the heck do you do if you act like your actions won’t have any consequences and suddenly they do? We’ll have to read to find out how Alice deals. The first book in a whole series. “Olivia ‘Livvie’ Owen feels things differently than her parents and two sisters. Livvie is autistic. Her family has had to move repeatedly because of her outbursts. When they again face eviction, Livvie is convinced she has a way to get back to a house where they were all happy, once. Books featuring autistic characters are on the rise but still few and far between. Author Sarah Dooley was a special education teacher who worked with autistic children, so she does come from a somewhat knowledgeable background on the subject. That’s really a small snippet of what this book is all about. Cath is a fan. Cath is an introvert. Cath is a writer. And Cath is going through a seismic life change. As a fan, introvert and kind-of writer myself, Cath resonated with me in a way that few literary characters have, before or since. It’s a great book. Read! So there you have it. Quite an eclectic mix of subjects but all are proof that the system can work as long as you want it. And if you’re looking for a place to write, or meet other writers, or get some ideas, we’ve got you covered too. Good luck Geeklings! Hope to see you at the club, and until next time, End of Line. 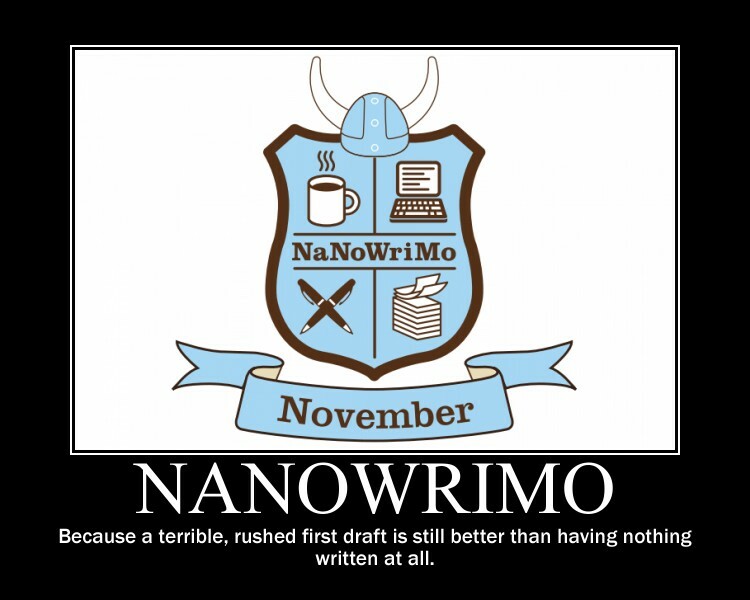 It’s November, which means it’s NaNoWriMo month! What’s that? Well, it’s a program that was started almost 20 years ago in order to encourage writers to write. How? By challenging them to write 50 000 words, essentially a novel, in one month. Yup, 50 000 words in 30 days. It doesn’t have to be a completely finished, polished, ready to publish book in that time, and if you’d written a bit before November 1, then that counts too as long as it’s in the same project. It’s just a way to encourage writers to sit down and finally crank the words out. This is my first year participating. I’ve had an idea for a book for a while now, and I have been sitting on it for ages. Life, laziness and good old fashioned procrastination seem to keep getting in the way. I’m hoping that having a solid deadline and a goal will give me the kick in the pants I need to finally get a first draft written. So far I’m almost up to 13 000 words. Here’s hoping! But enough about me. Did you guys know they have a Young Writer’s Program? They do! The program is geared towards kids, tweens and teens. You can set your own word count goal and you can write right there on the site. For new writers or writers who want to challenge themselves it’s a great tool. Click here to see how it works. 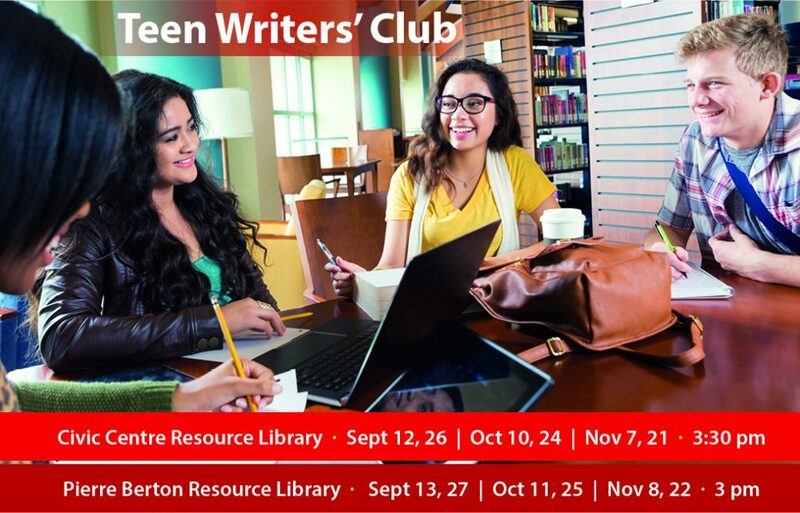 How this all ties in with us is that we at VPL have the Teen Writer’s Club going on. If you’re looking for the time, the space and the resources to get some serious writing done this month and beyond, we’ve got you covered. You can participate at the Pierre Berton Library, the Civic Centre Library, or both if you’d like. 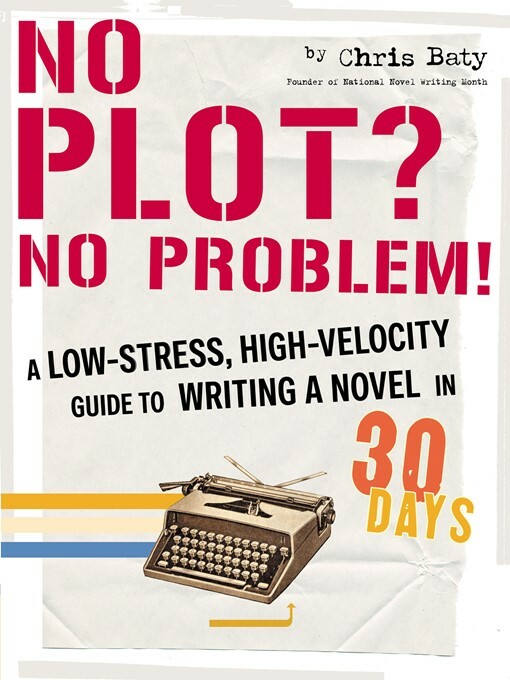 A guide to writing a novel in 30 days. Which is convenient, because that’s how long NaNoWriMo gives you. 30 days. Breaking it down week by week and supplying advice and inspiration from other writers, this is the book that’s designed to be ‘results oriented’ and a quick fix. Perfect for NaNoWriMo newbies (yo!). This one’s also available as an ebook. Sometimes you just need that extra boost. That little bit of advice or encouragement from someone who’s been there and who knows just what to say. 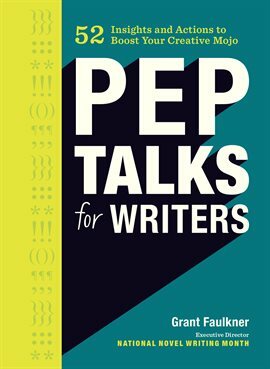 Be it the dreaded writer’s block, or how to even get started, this book is filled with tips, tricks and cheers from other writers. 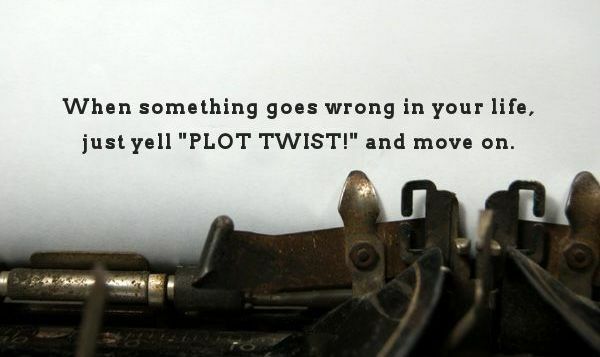 You can also find pep talks at NaNoWriMo’s website. And here are some other books that have great advice too, in handy list form. Hope to see you at our next meetings. Keep writing! NaNoWriMo: Write All The Things!!! NaNoWriMo! Impossible you say? It just cannot be done? That this is the very definition of writing insanity? No! Yes! Maybe? Well you never know if anything is possible unless you give it a try. So try I am this year. I swear on the saddle of John Wayne’s big chestnut stallion Dollor am I ever going to try. NaNoWriMo! Where the unexpected will always happen. I had originally planned on writing the sequel to The Princess Bride in the form of an incredibly outrageous medieval Spanish-style soap opera (you know, as they do in medieval Spain where the Spanish Inquisition rules…I’m all about the fan fiction okay? Fic writer and proud since ’04!). But no. It was not meant to be. Weeks of planning, outlining, storyboarding, research, post-it-note awareness, character sketches and biographies are now all just out the window. Well, actually everything is stored away on a hard-drive in my desk until December when this writing bonanza is officially over. NaNoWriMo! Surprises around every corner. 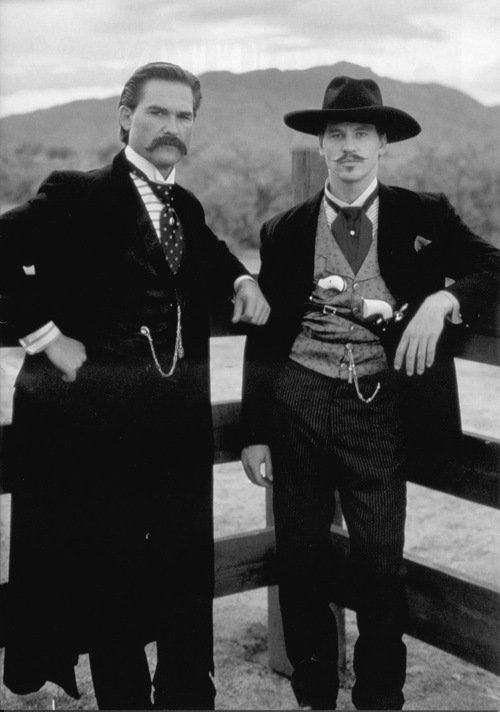 I find my mind currently shanghaied by a posse of Dead Cowboys with impressive facial hair. Why? Because when a long-dead gunslinger who happens to resemble Sam Elliott shows up with a party of Wild West deputies, wrangles, con-artists, trackers, gamblers and their horses all you can do as a writer is hush up, sit down, and start taking notes. NaNoWriMo! The writing muse will take you wherever it may so if there is one lesson to be learned from all this it is that you will never know where a story will go but you can be sure that it is going to be one heck of an adventure. NaNoWriMo! When writing a first draft of a novel is more stressful than trying to complete your thesis paper the night before it is due. NaNoWriMo! When no matter how weird your storyline progresses your musical playlist is always on point. NaNoWriMo! Where writers come together to spur each other on. No one gets left behind! NaNoWriMo! Where write-in events are the events of the season! You don’t want to miss out in attending one because when wordsmiths gather together the creativity factor goes through the roof. Join me on Wednesday over at the Bathurst Clark library for a write-in event that is being hosted by the Vaughan Writer’s club from 6:30-8:30 pm. The call has gone out across the GTA on the official site so authors, literary nuts, poets et all will join in on the fun. Pack up your laptop, grab some snacks, fill a thermos full of something caffeinated, and get ready to write! See you there.